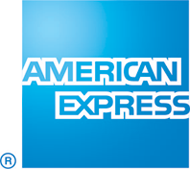 American Express’s Global Corporate Payments group provides corporate card programmes, corporate purchasing solutions and working capital solutions to companies worldwide. It is a leading issuer of commercial cards, serving more than 70% of the Fortune 500, as well as many thousands of medium-sized companies. It issues local currency commercial cards in more than 40 countries and international currency cards in more than 100. American Express is delighted to partner The Future of Work Conference 2017. This promises to be an insightful and informative day. The Institution of Occupational Safety and Health (IOSH) is the world’s leading professional body for people responsible for work-related safety and health. Through professional development, advice, and best practice IOSH and its 46,000 members globally enable organisations, to manage their risks and deliver the business benefits of delivering safe and healthy working environments. By setting standards for the profession and through accredited market-leading training programmes, IOSH and its members work with organisations around the world to enhance their reputation, assure business continuity and improve productivity. International Quarter London is a £2.4 billion joint venture development between Lendlease and LCR. Located at the heart of Europe’s largest urban regeneration in Stratford, the project will deliver four million sq ft of new workspace, 333 homes and community facilities, within a 22 acre site. Progress is well underway onsite with the first two residential towers now complete and the first commercial buildings set to be occupied by Transport for London and the Financial Conduct Authority in autumn 2017 and spring 2018 respectively. Today, the world puts huge emphasis on performance and demands more skills than ever before. Yet too many managers don’t get the guidance they need. The CMI wants to help them stop simply getting by and start excelling. 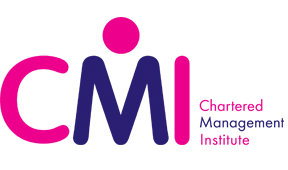 The CMI helps hundreds of organisations tackle challenges such as handling talent, employee engagement and dealing with change. Its online portal, ManagementDirect, provides thousands of online resources to tackle everyday challenges. It is the only body able to award chartered manager status, and over 100,000 managers use the services.